Will Wilder is back to protect the town of Perilous Falls from another ancient evil -- the fearsome demon, Amon. 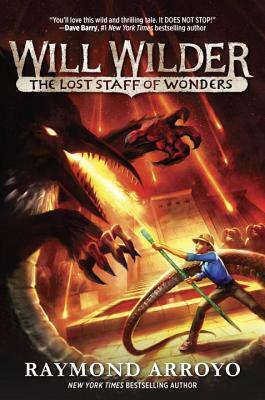 When the storied Staff of Moses -- responsible for summoning the plagues of ancient Egypt -- vanishes from the museum in Perilous Falls, Will Wilder is suspect number one. Desperate to prove his innocence and stop the thief from unleashing terrors upon the town of Perilous Falls, Will must use his supernatural gift to locate the beast -- but it's nowhere to be found. I really like this second book it has lots of action and adventure. The book has a few pictures. The pictures make the book pop. I hope every one will read this book. Great story for kids to read.